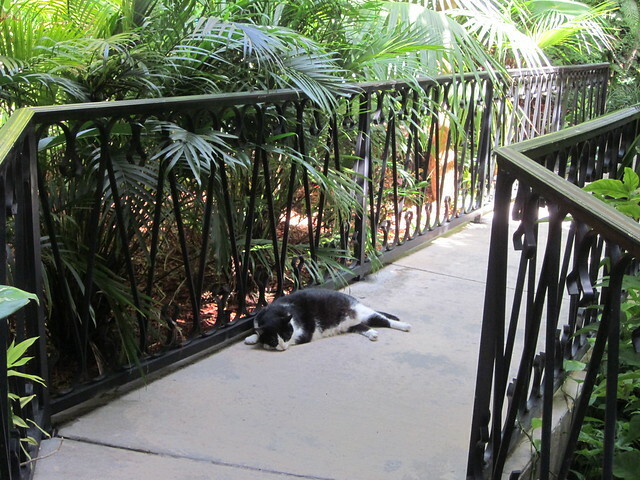 I recently wrote a post about the food and lodging experiences I had in Key West this summer and this post is an extension of that one, in that I wanted to talk about all the cool things we did while in Key West. 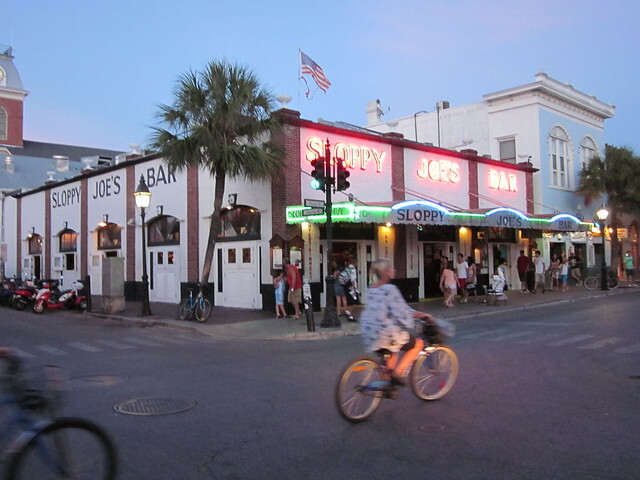 First of all, I know it's toursity and cliche, but on our first night I shamefully admit we had dinner at Sloppy Joe's Bar. The food and drinks were underwhelming and I found it incredibly irksome that they served their drinks out of disposable plastic cups, but it's one of those places you have to go just to say you've been there. Truth be told, I don't know what the fuss was about other than I guess it's just that Hemingway used to hang there. 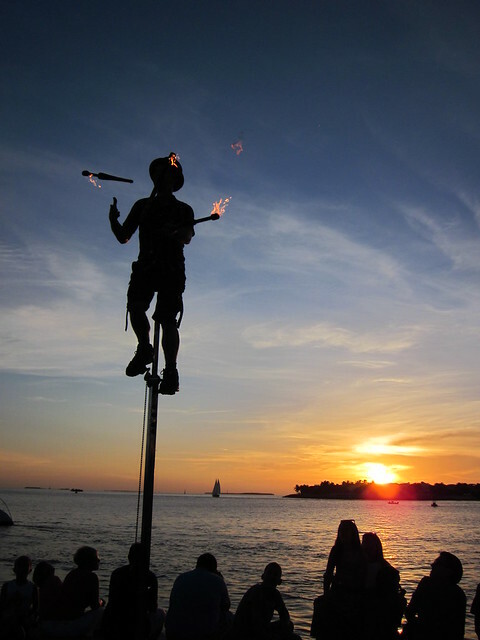 After Sloppy Joe's, we participated in another tourist tradition, the Mallory Square sunset celebration where the crazy street performers come out and compete for your attention, and your money. What I found more entertaining than the street performers, however, were the roosters that just run wild all through the island. 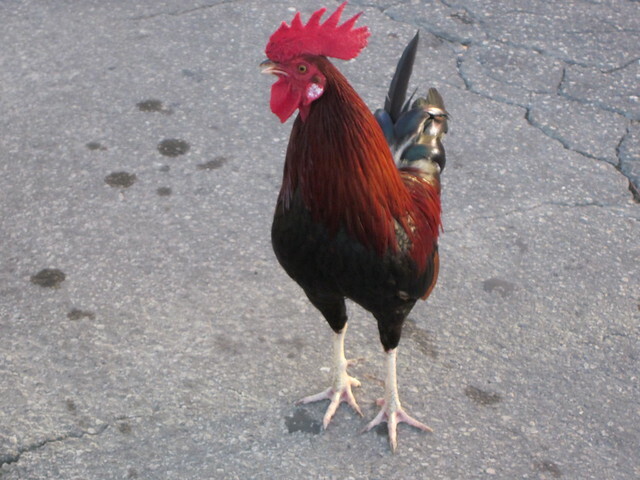 It's hilarious to see one just walking down the street like they own the place. One of my favorite things we did while in Key West was take an all-day catamaran trip called the Power Adventure through Sebago water sports. This catamaran trip included snorkeling, kayaking, jet-skiing, banana boat rides, and parasailing. 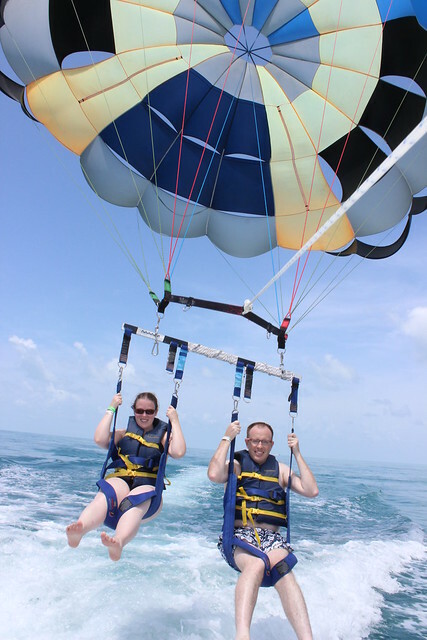 My husband really wanted to go snorkeling while we were in the keys, and I really wanted to go parasailing, so it was perfect that we were able to combine the two (and then some) in one adventure. This was my first time parasailing and I definitely want to do it again some day! I highly recommend Sebago for any sort of water sport or catamaran trip while you're in Key West. They're a well-established company and very professional. Our last full day in Key West involved riding our rented bikes around the island, with stops at Southermost Point and the Hemingway House. 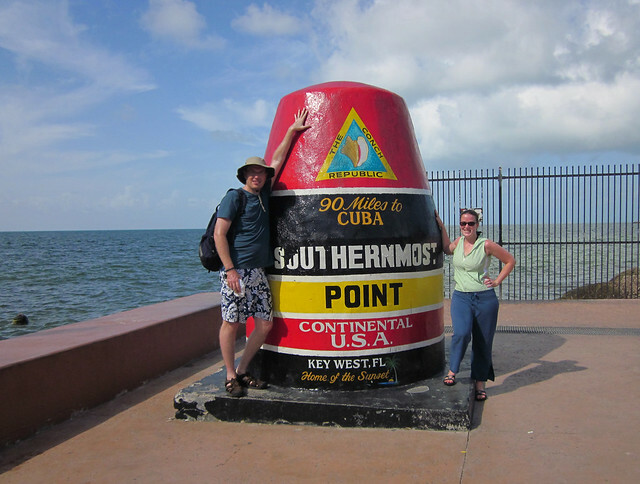 We had to stop off at the Southernmost Point just for the photo op because, really, there's nothing worth doing here but posing for a picture. 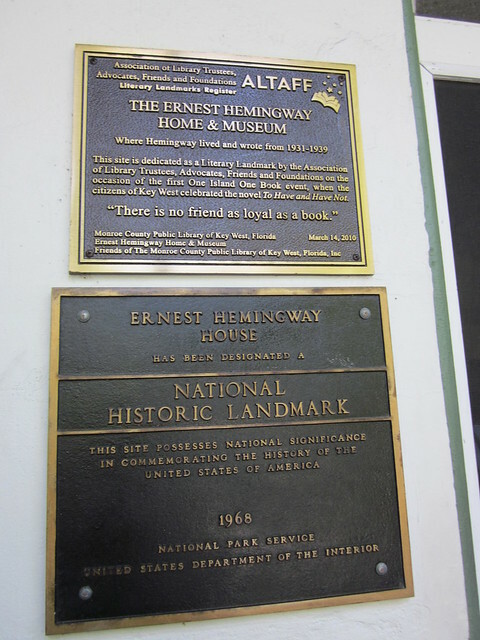 But I felt obligated to visit Hemingway House because, well, I'm a bibliophile and a writer so I guess I was supposed to feel some sort of kinship with Heminway, but in reality, I've never really connected with any of his books. Still, I found the tour of his house extremely worthwhile as he was quite the fascinating figure. The house and grounds were beautiful and the tour was extremely entertaining. 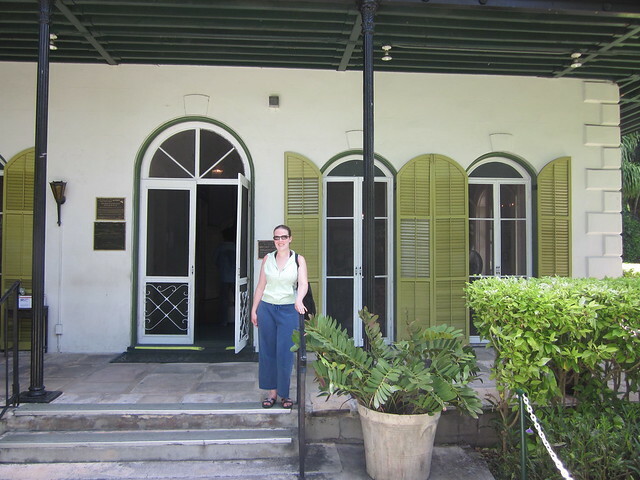 If you're ever in Key West, a visit to the Hemingway House is a must-do for the stories alone. So even if you're not a fan of his work, go anyway. 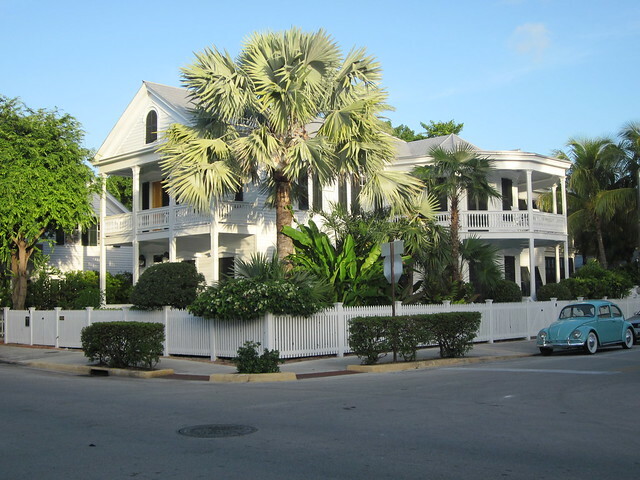 Speaking of writers, my favorite story that takes place in Key West is Turtle in Paradise by Jennifer L. Holm. I listened to the audiobook earlier in the summer and immediately fell in love with the characters. I decided that I needed to find a copy of the book and re-read it while I was in Key West, which I'm glad I did because on our last night there, I realized that we were only a few streets away from where the family in the story lived: Curry Lane. 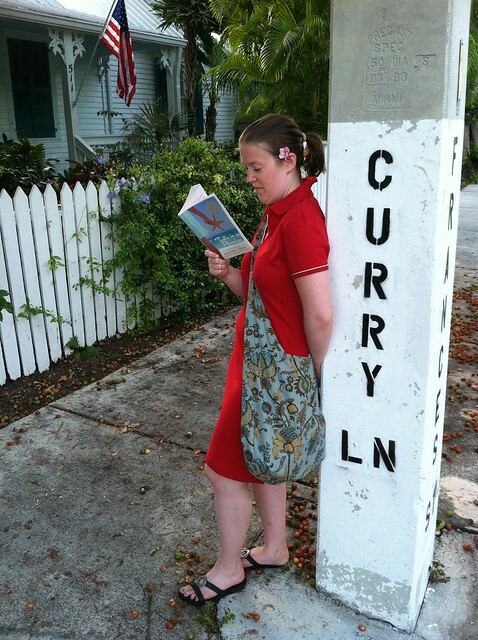 So I had to get my picture taken reading the book in front of the Curry Lane sign. Too bad I couldn't find the Curry family anywhere. 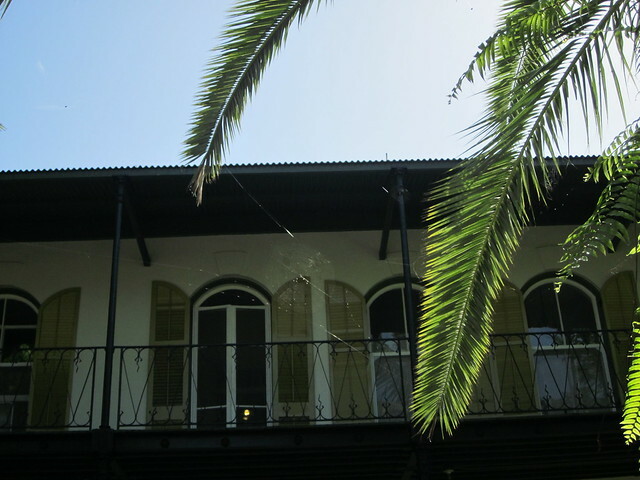 But I think the thing I loved the most about Key West was the beautiful, distinct architecture and laid-back atmosphere. As a first time visitor, it's definitely a place I could see visiting more than once, and for a traveler like me who desires to see the whole world, visiting a place for a second time feels like an opportunity wasted to travel somewhere new. You won't see my husband and I ever buying a vacation home because we feel like there's too much of the world to see to vacation in one place all the time. 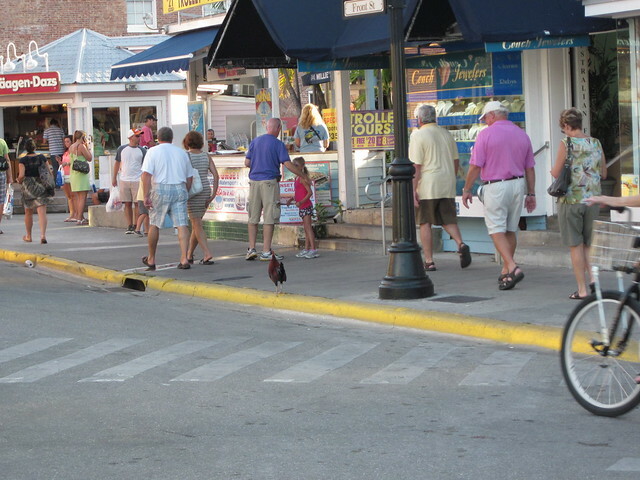 Still, Key West is a place I could visit multiple times and not feel cheated out of a new travel experience. I love Key West too. 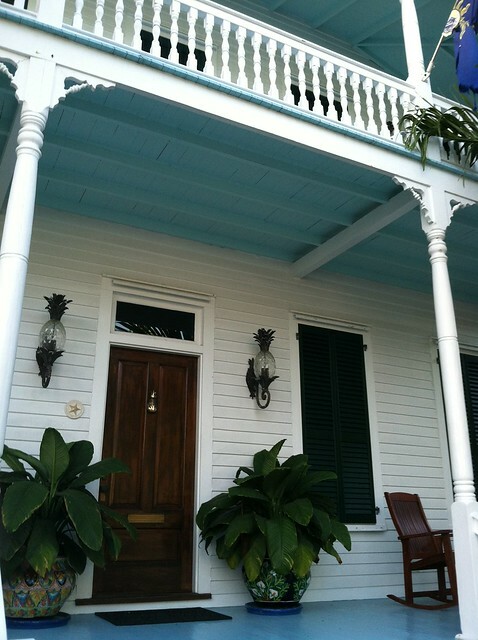 My favorite things were parasailing and Hemingway's house and I also enjoyed Margaritaville. We rode bikes all over the island. It was a blast. So glad you had a great time. Isn't the food wonderful? I tried escargot there for the first time and oysters. I loved the Oysters. Wish I was there now. It is cold up here in Minnesota. I had to wear my long underwear outside today for a early morning baseball game. UGh. I haven't read hemingway in a long time so I can't say if I'm really a fan or not. But I recently read The Paris Wife from the perspective of his first wife and I really enjoyed that. I find old school Paris facinating though.